Would you like to hire me to help you grow the number of visitors to your website? I can help through carrying out SEO services, bringing you more organic traffic to your website by increasing your position in the search engines or I can help to setup and manage a PPC campaign on Google AdWords. Just send me a message to get started! 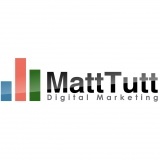 ©2019 Matt Tutt Digital Marketing. All Rights Reserved.